I love finding something really special to give as a gift. Whenever I have given baby gifts I have always tried to give something that’s useful or something thats personal. A personal gift that someone has really given some thought to are always the ones that last in my memories. I love being given little baby clothes and cuddly toys but there are so many other gifts out there which are just so much more special. 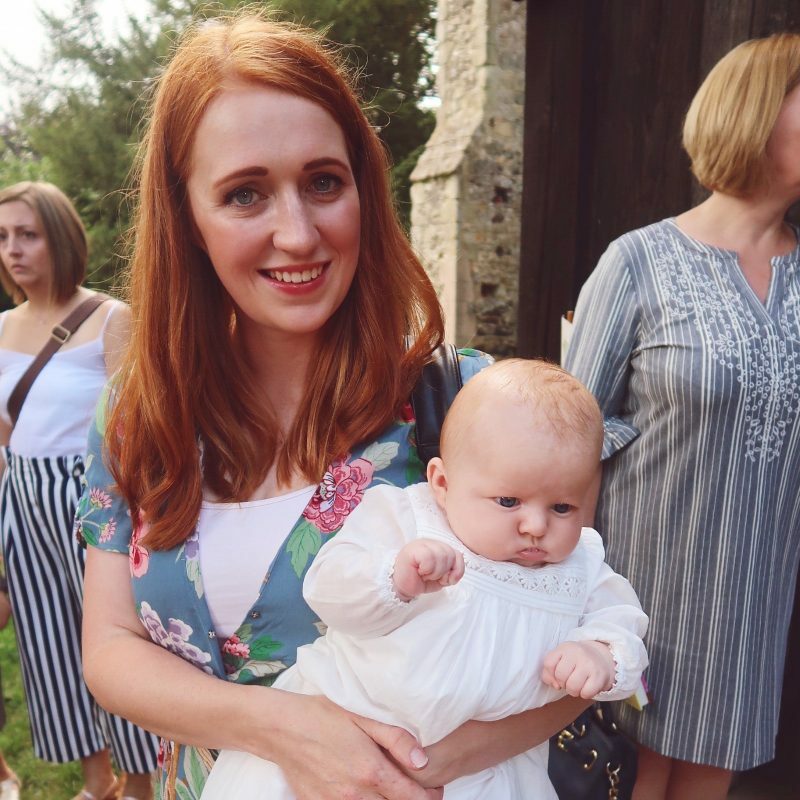 I thought I would share with you just a few of my gift ideas for a new baby or baby shower gift. Firstly, I thought I would share with you one of the best loved children’s stories. 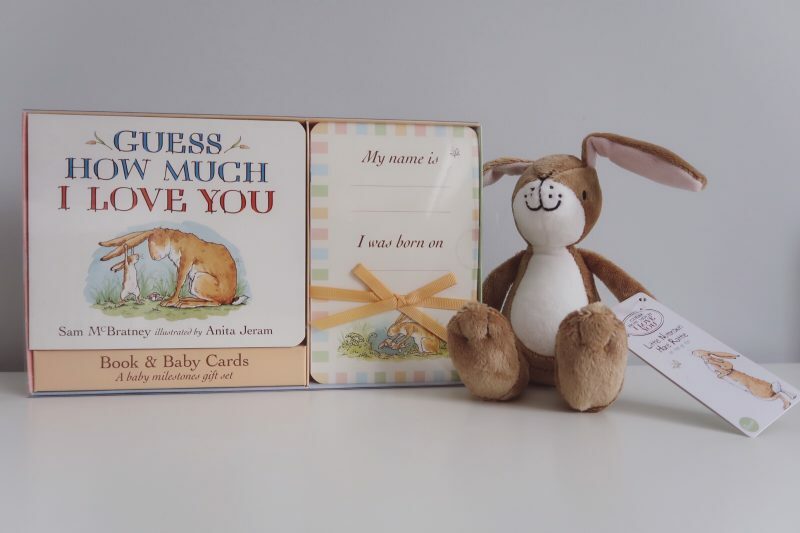 Guess How Much I Love You, I think it really is a staple story for every young child. Books are always a great gift, they’re something you will always need, and it’s so nice to have the favourites of your friends and relatives gifted to your child. Oliver was given this book by a family friend when he was born, because it was their favourite bedtime story, and I really love reading it to him at bedtime. They are now selling the story in a gift pack with a pack of milestone cards. How cute is this? Combined with a little Nutbrown Hare rattle, it makes such lovely gift. I loved taking photos with Oliver’s milestone cards. They are such a nice way to document the little moments like their first smile, and I love that these ones are themed! Another lovely gift is this Messy Me changing clutch. 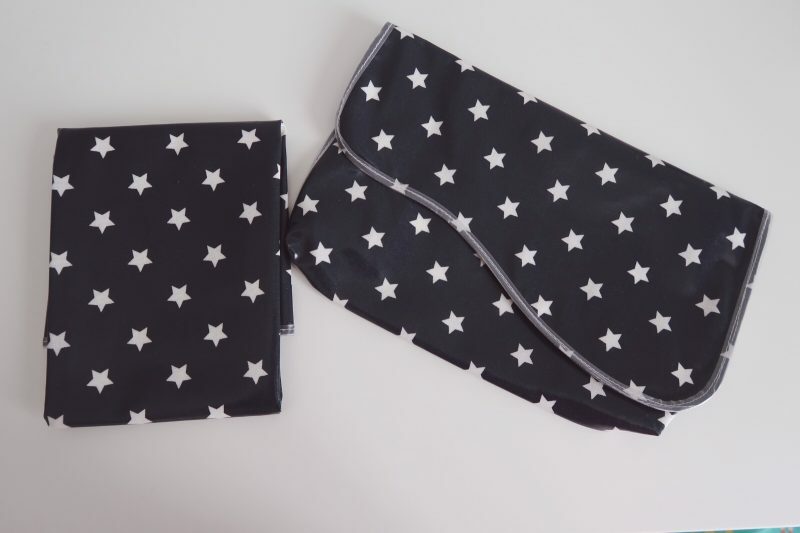 I love this, it’s a very compact oilcloth clutch bag with a compact changing mat inside. It has enough space in it for your changing essentials, and would fit perfectly in your handbag or under your buggy, making sure all those little bits you need are at hand quickly. It would also be perfect to keep in the car for those little emergencies! 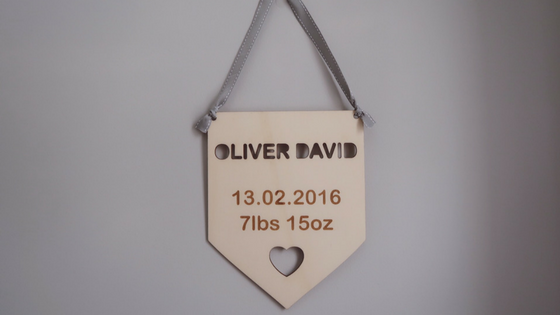 You could pop this in a baby essentials hamper or pair it with a pack of nappies and wipes for a practical gift! Finally I have this beautiful handmade sign from Kent Made. 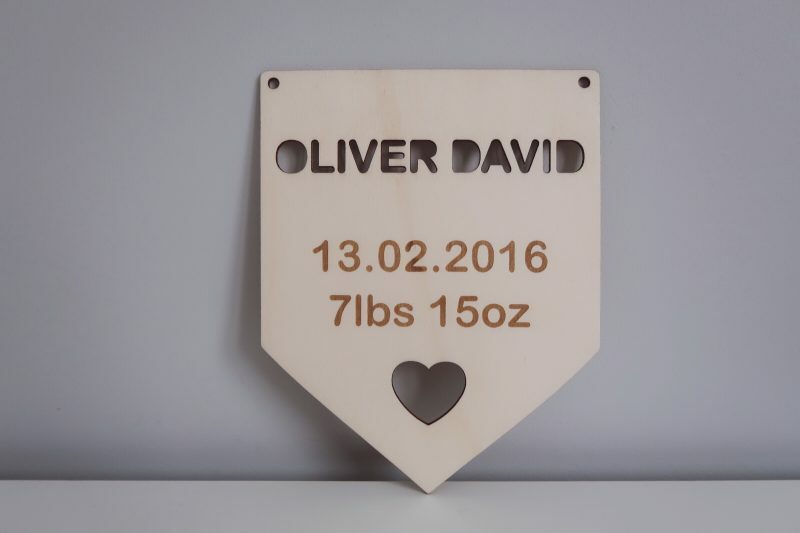 This is the perfect keepsake gift for any newborn. It would look perfect placed on a shelf or hanging on the wall. I really love items like this, they just show that little bit more thoughtfulness. The quality is great and it arrived very quickly. This is so beautiful and Chantel, the owner of Kent Made, has such a gorgeous variety of wooden gifts, you would be spoilt for choice! So these are just a few great products on offer for that new arrival. If you’re a parent, what were your favourite gifts when you had your baby? I would love to hear in the comments below! These items were all gifted to me for inclusion in this post. All words and opinions are my own. I agree with you that books are really great kids for babies. I know that it is the digital age now but I’m disappointed to some parents who would settle with gadgets just to calm down their child. Books are still way educational.